More than half of SMEs in the IT sector don't have a succession plan. More than half (52 per cent) of small and medium-sized businesses in the UK’s IT sector have no idea what they’d do if key staffers decide to quit. This is according to a new report by the Aldermore Future Attitudes, which claims these businesses are lacking a succession plan. The report puts things in a dangerous perspective – 22 per cent of SME IT businesses see senior executives leaving as their biggest business threat. Another fifth, 21 per cent, are worried their entire team would leave. 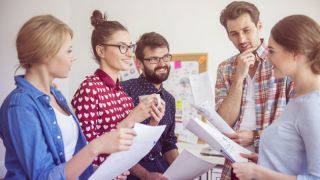 Out of those 48 per cent that do have a succession plan, 46 per cent have confirmed this includes “ensuring employees view their long-term future at the company and providing training to widen employees’ capabilities beyond their current roles”. A third (36 per cent) already know who might take over in case someone leaves the company. “It is concerning to find that more than half of SMEs in the IT sector do not have any succession plans in place despite being conscious of the adverse consequences that may result should crucial employees leave the business,” commented Carl D’Ammassa, Group Managing Director, Business Finance at Aldermore.